This Lentinellus species is sometimes called the "Bear Lentinellus," in a translation of its Latin name--but what that wacky old Swede Elias Fries was thinking is beyond me. Nothing about Lentinellus ursinus strikes me as bear-like . . . except for the bear of a headache involved with identifying it. 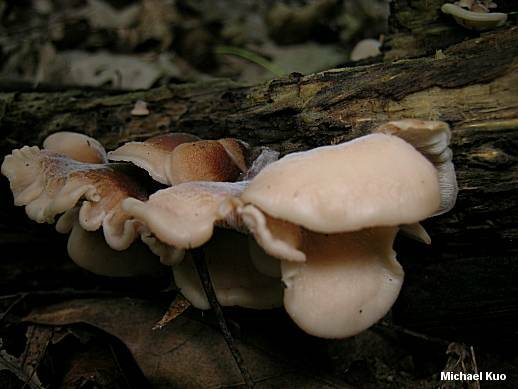 At issue (for me, anyway) is the distinction between Lentinellus ursinus and Lentinellus vulpinus (the "Fox Lentinellus," if we were to be consistent; one starts to wonder whether the ancients were studying mushrooms or Aesop's Fables). 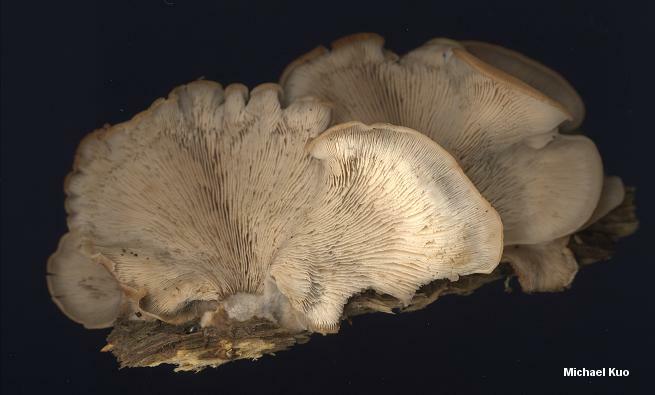 In theory Lentinellus vulpinus differs, in part, by having a stem--but the "stem" is a lateral, one-centimeter job that can be awfully hard to distinguish. 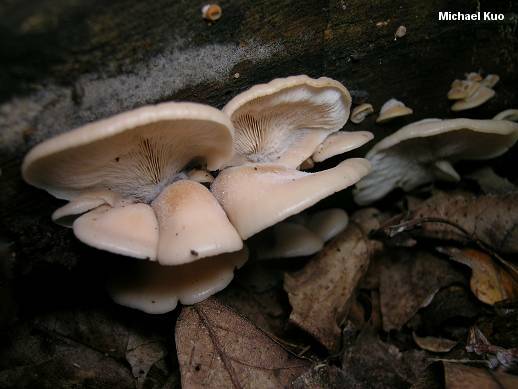 Field guides expound on differences between the two species in colors (of the cap surface and its fuzz), but these features overlap and the mushrooms demonstrate considerable variability, even in the course of development. In the end, I wind up resorting to microscopic analysis to separate the two--though I am sure that anyone who has collected both species with frequency would scoff at my needless efforts. Ecology: Saprobic; growing in groups or in shelf-like clusters on the wood of hardwoods (and, very rarely, the wood of conifers); summer and fall; widely distributed in North America. 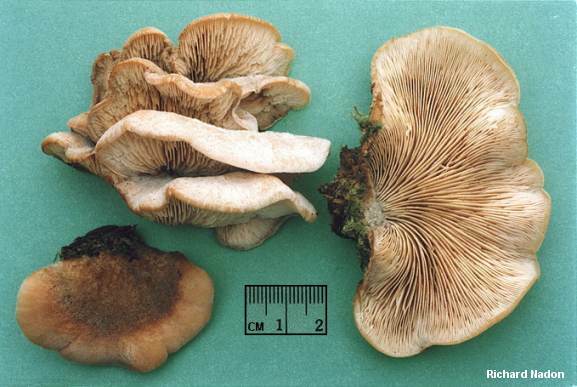 Cap: Up to 10 cm across; kidney-shaped to roughly semicircular; broadly convex, becoming flat or depressed; minutely hairy or velvety, at least over the inner 1/3; brown, cinnamon brown, or pale; the margin inrolled. 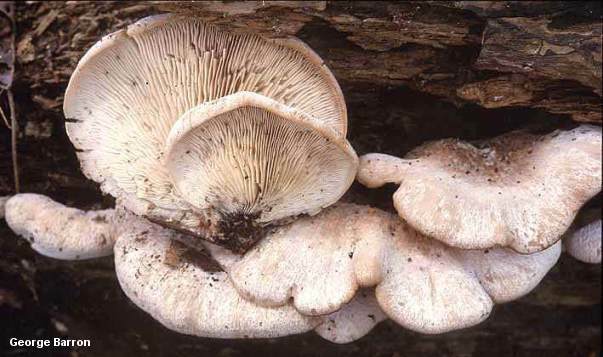 Gills: Close or nearly distant; the edges distinctively saw-toothed; whitish to pinkish. Taste: Strongly acrid or peppery; odor not distinctive or a little spicy. 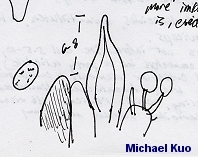 Microscopic Features: Spores 4-4.5 x 3-3.5 µ; elliptical; amyloid; very finely ornamented with warts and spines. Pleurocystidia rare; fusoid to sharply pointed. Gloeocystidia present; clavate. REFERENCES: (Fries, 1821) Kühner, 1926. (Miller & Stewart, 1971; Arora, 1986; Phillips, 1991/2005; Lincoff, 1992; Barron, 1999; Roody, 2003; Petersen & Hughes, 2004.) Herb. Kuo 07260401.